We are moving back to Singapore soon! We have been living overseas for almost 2.5 years now and I honestly can’t believe how time flies. We have also collected our keys to our home a month ago during our trip back to Singapore, so I’ve been busy designing and re-designing the house these days, hence the lack of updates here. 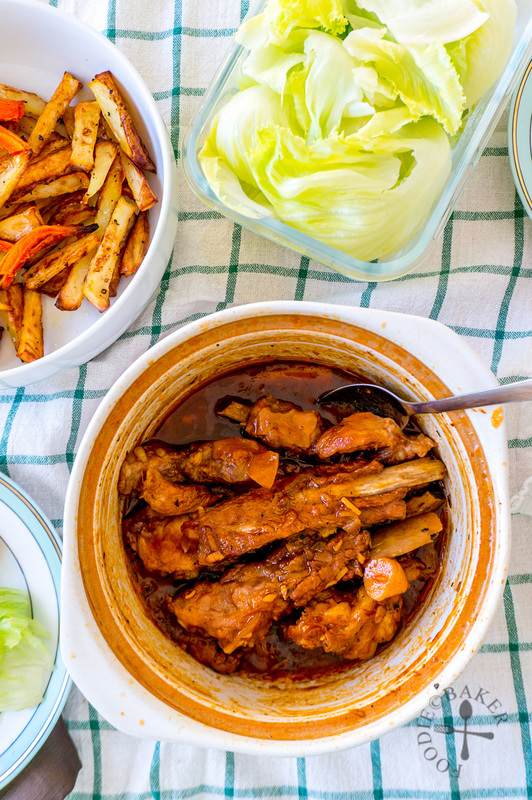 Anyway, let’s move on to the recipe that I’m sharing today – an easy, one-pot, and finger lickin’ insanely delicious BBQ pork ribs, all made on the stove top! No oven needed, just a pot! For the ribs, I specifically requested for the part closer to the baby back ribs from the butcher. I personally prefer the ribs from that part because they taste tenderer to me. I also asked my butcher to cut them into individual ribs, so I can brown them more easily. 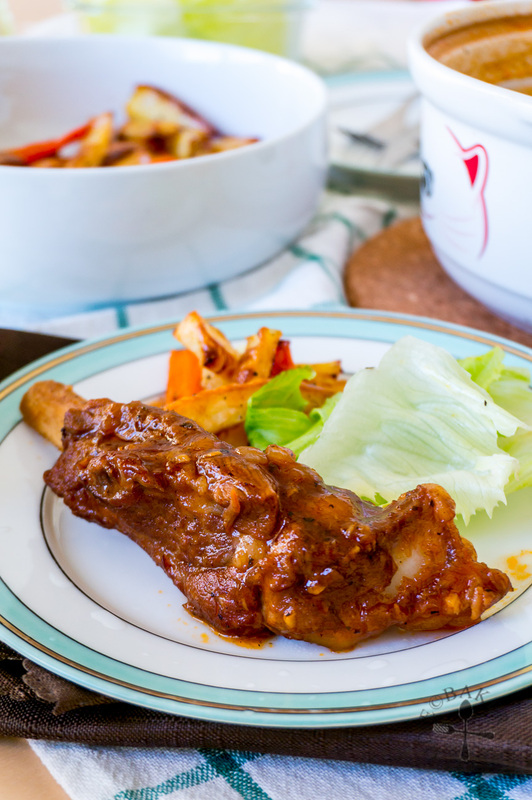 The ribs are incredibly good with a big bowl of salad, crusty bread to soak up the sauce and mashed potatoes / fries. Here are step-by-step photos and recipe! 1) Sear the pork ribs in batches in a cast-iron pot until the exterior is browned. Remove the pork ribs. 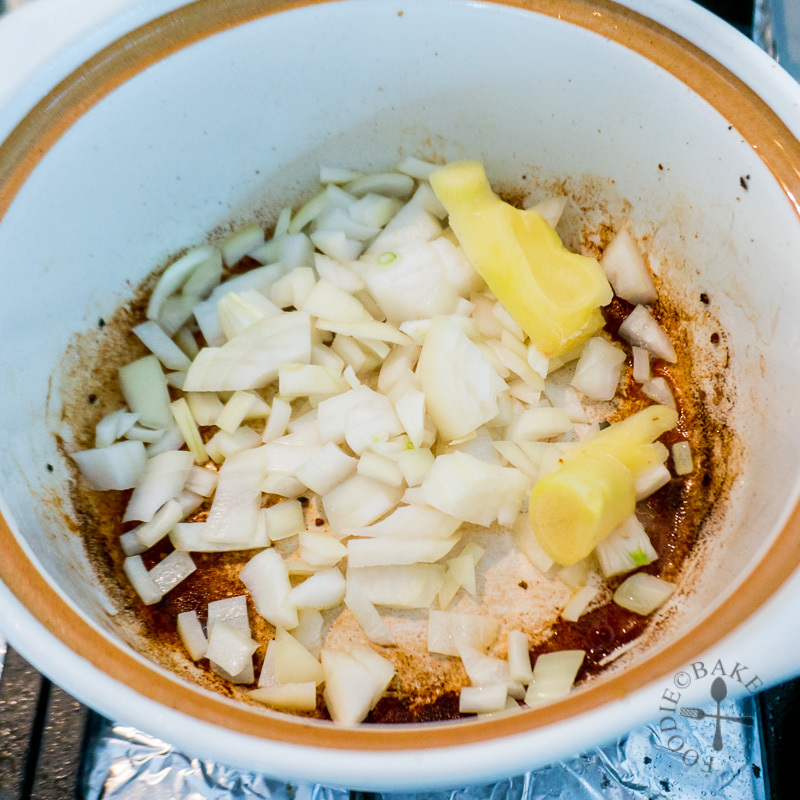 2) Cook onion, garlic and ginger until onion has softened. 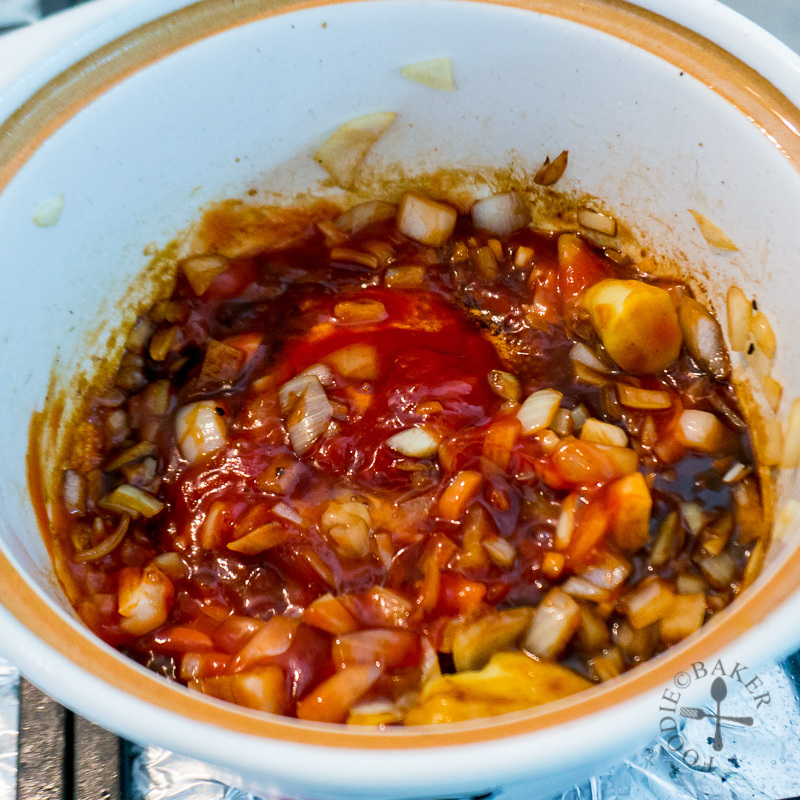 3) Stir in ketchup, honey light soy sauce, Worcestershire sauce, dried herbs, and a splash of water. Scrape up any browned bits stuck to the pot. 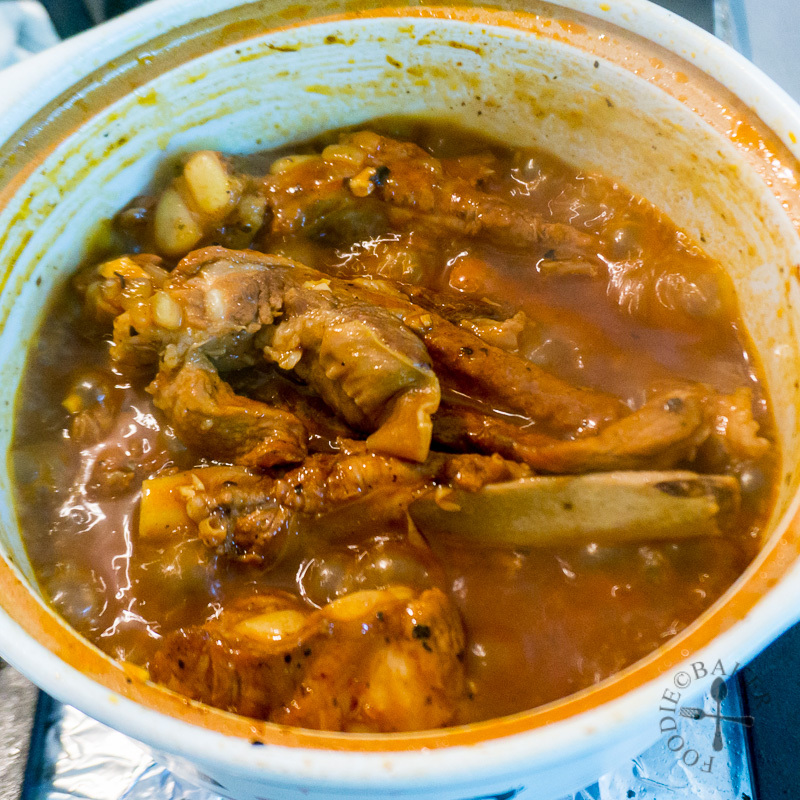 4) Add in pork ribs and any accumulated juices on the plate into the pot. Add water until it reaches the top of the pork ribs. 5) Cook for 30 minutes then turn up the heat to reduce the sauce. Heat 1 to 2 tablespoons of oil in a cast-iron pot over medium-high heat. Pat dry the pork ribs thoroughly with paper towels and season with salt and freshly ground black pepper. 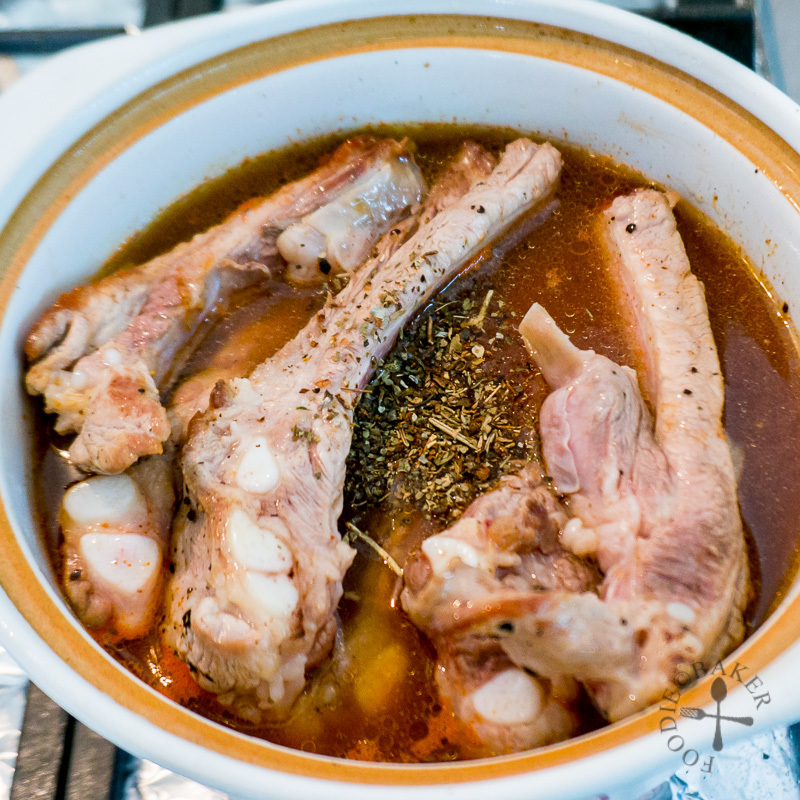 Add in the pork ribs in a single layer and cook 2 to 3 minutes on each side (do not move the pork ribs while cooking) until the exterior of the pork ribs are browned. 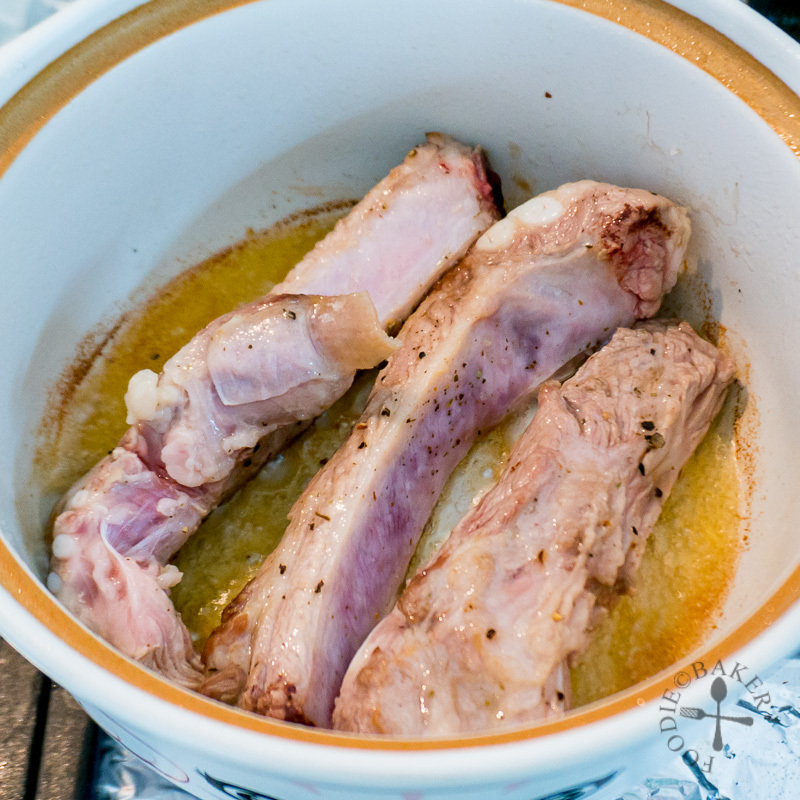 Remove the browned pork ribs onto a shallow plate and repeat, adding more oil if needed, until all pork ribs are seared. Drain the cast-iron pot until there's only about 1 tablespoon of oil left. Add in the onion, garlic and ginger and cook until the onion has softened, lowering the heat if needed to prevent the aromatics from burning, about 5 minutes. Stir in ketchup, honey light soy sauce, Worcestershire sauce, dried herbs, and a splash of water. Scrape up any browned bits stuck to the pot. Add in pork ribs and any accumulated juices on the plate into the pot. Add water until it reaches the top of the pork ribs - the water doesn't have to cover the pork ribs completely. Turn the heat up and bring to a boil. 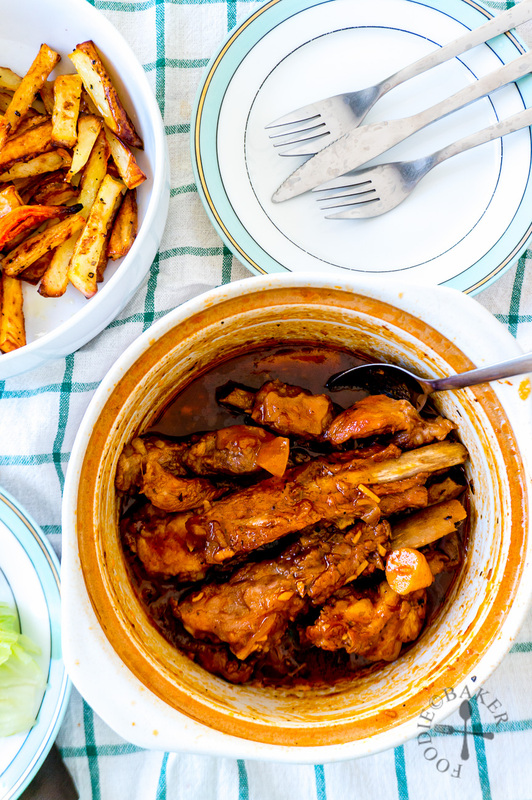 Turn down the heat to a simmer, then cover with a lid partially (you want the sauce to dry up) and cook for 30 minutes, flipping the pork ribs every 10 minutes. Remove the lid and turn up the heat to bring the sauce to a boil. Keep stirring the ribs so that the bottom doesn't burn. Reduce the sauce until it is thick. 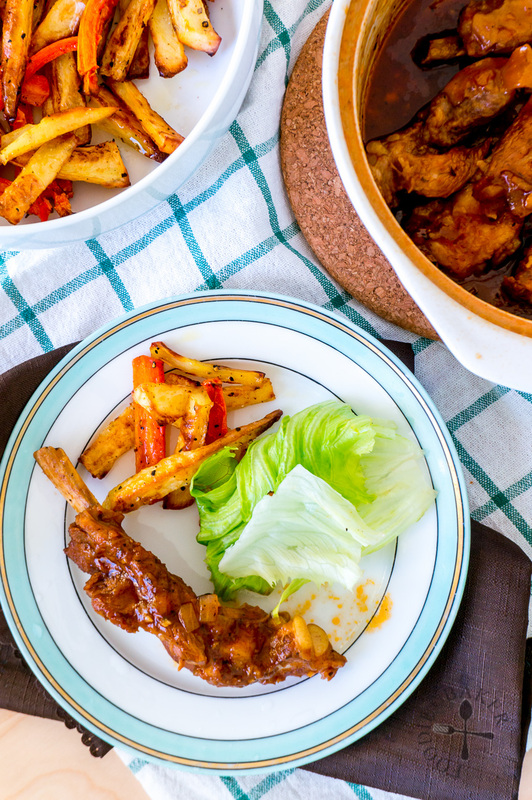 Serve the pork ribs with salad, crusty bread and mashed potato/fries. I’ve never mastered ribs but with this recipe I think I’d like to have a go at it, it absolutely looks yummy.